While other books and authors try to tell readers how to change their personality or way of thinking to find their purpose, P.K. Hallinan shows that true life change is not about thinking, but about doing. A Life That Matters does not try to change how people feel, but how they act. It teaches that no matter what someone is doing, with a redirection of focus he or she can make a real and lasting difference in the world. Life is a journey. 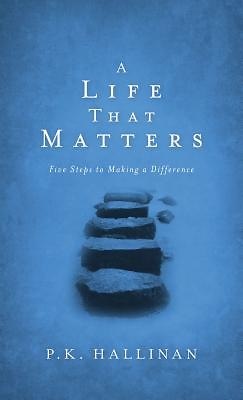 A Life That Matters shows readers how to make their journey as productive and satisfying as possible.